If you’ve been hiding in your own personal vault for the last 20 years of PC gaming, you’ve missed out on some very special RPGs. The Fallout games are some of the best post-apocalyptic wasteland playgrounds around, and if you suddenly feel the need to catch up on the series before Fallout 4 releases, you can now get all the games in a handly, nuclear-bomb shaped container. Need to know everything about the next game? Here’s everything we know about Fallout 4’s release date, features, and story. 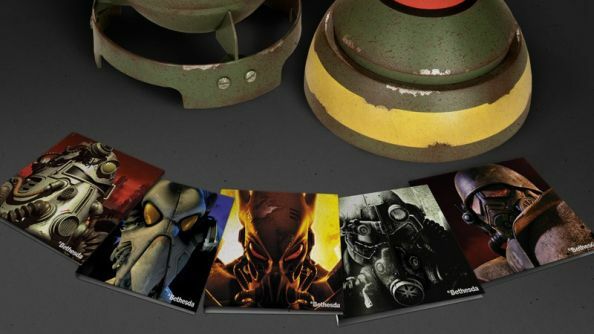 The Fallout Anthology is now available in European countries, and contains Fallout, Fallout 2, Fallout Tactics, Fallout 3, and Fallout: New Vegas. The latter two are recent games made by Bethesda and Obsidian respectfully, and follow the Elder Scrolls-style template of game design with a 3D open world and hundreds of quests to complete. The come bundled with all the DLC that was released for them. The first three games are from the 1990s, and are the ‘original’ Fallout games. Isometric in design and playing out with turn-based battles, they are considered classics of their day. 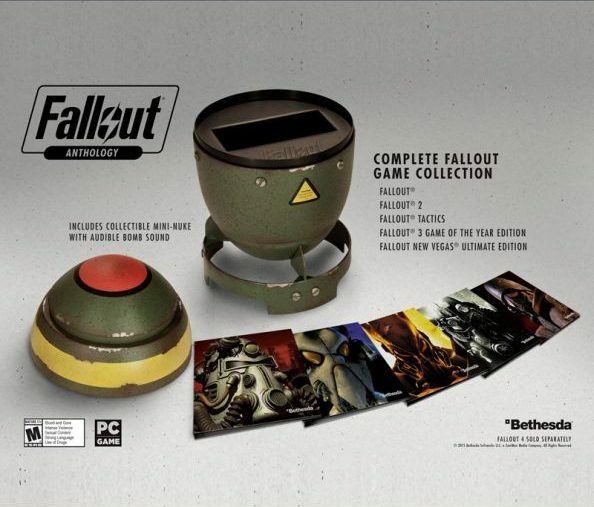 All three games come packaged in a nuclear-bomb shaped case, which makes actual bomb noises (!!) and comes pre-equipped with a vacant spot for your inevitable purchase of Fallout 4. The US were able to buy their version of the Anthology last month, but it is now available in Europe from today. Will you be investing?